To this, Swaraj said, "Anandji, there is no controversy. Controversy is there in your mind. All the controversy issues that you (Congress) raised, the Supreme Court has clarified on each of them. Please don't use the word controversy again." 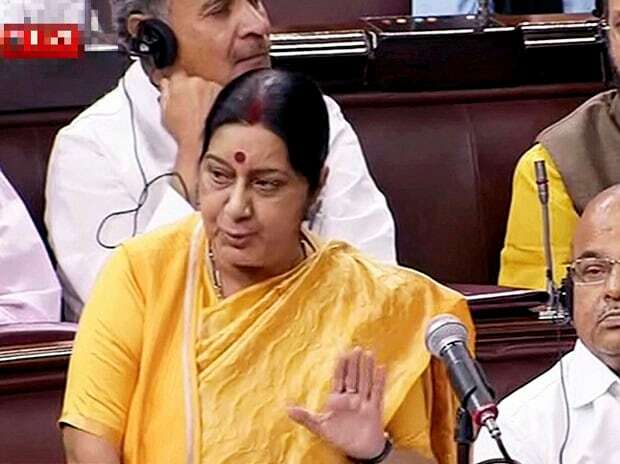 To a query raised by Shiv Sena member Sanjay Raut if there was any discussion on the Rafale deal during the recent visit of French Foreign Minister Jean-Yves Le Drian to India, Swaraj said, "There was no discussion on the matter." On the Indo-French fund for developing script for co- production of films, the Minister said the French delegation had visited Mumbai and had discussion with representatives of Bollywood besides meeting the state chief minister. To another query on the Jaitapur Nuclear Power project, Swaraj said that an agreement was signed on March 22, 2016 to set up a plant. France's EDF and India's NPCL are looking into it.